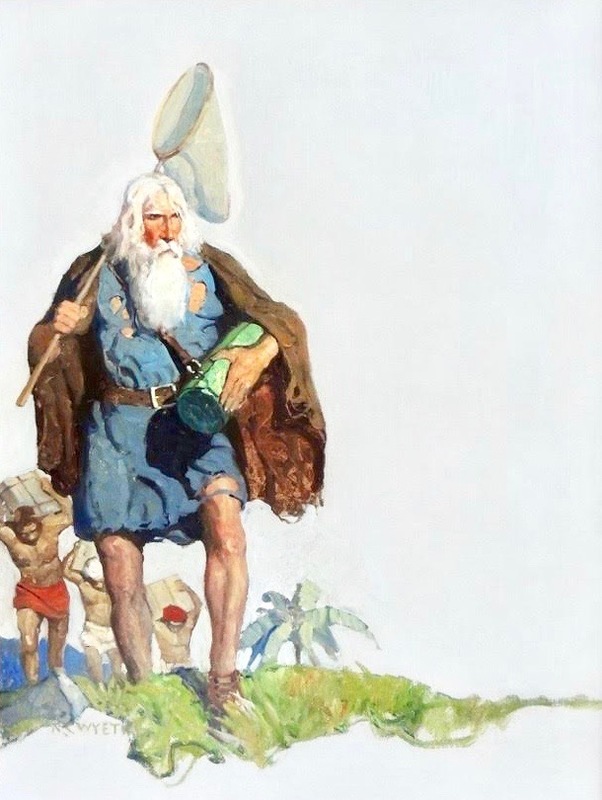 Newell Convers Wyeth had a huge zest for life. He carried his enthusiasm through a great number of paintings, more than 3000 illustrations, numerous vast murals, and many still-life and landscape paintings. Howard Pyle was his teacher and idol. 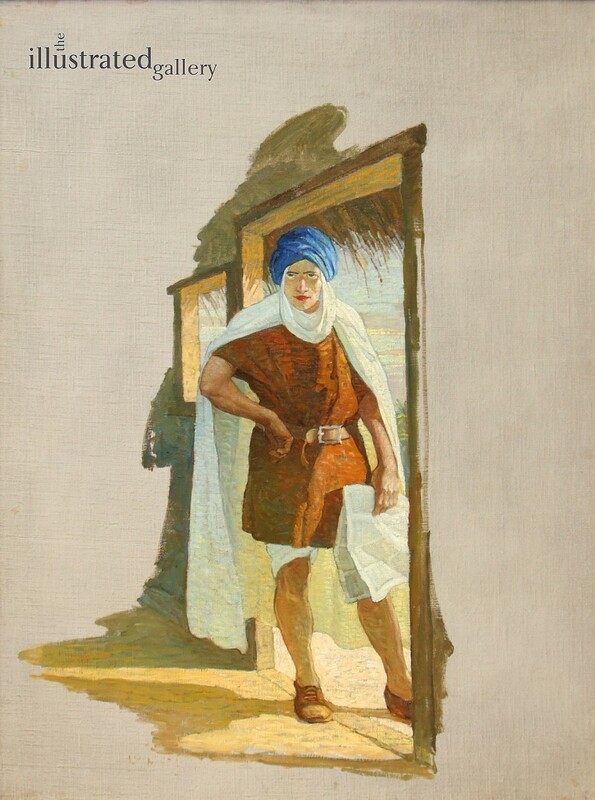 At first, Wyeth emulated Pyle's approach as nearly as possible, painting much of the same kind of subject matter - medieval life, pirates, Americana. To this he added his own dramatic picture concepts and rich, decorative color. Outstanding in this phase of his work were the more than twenty-five books he illustrated for Charles Scribner's Son's Classics series. The popularity of these books is such that, even after decades, many of them are still in print. He came to resent the constraints of illustration, and after painting in oils for many years, Wyeth turned to the egg tempera medium and began to paint more for exhibitions. He also encouraged an interest in the arts in his children, giving them every opportunity for self-expression. 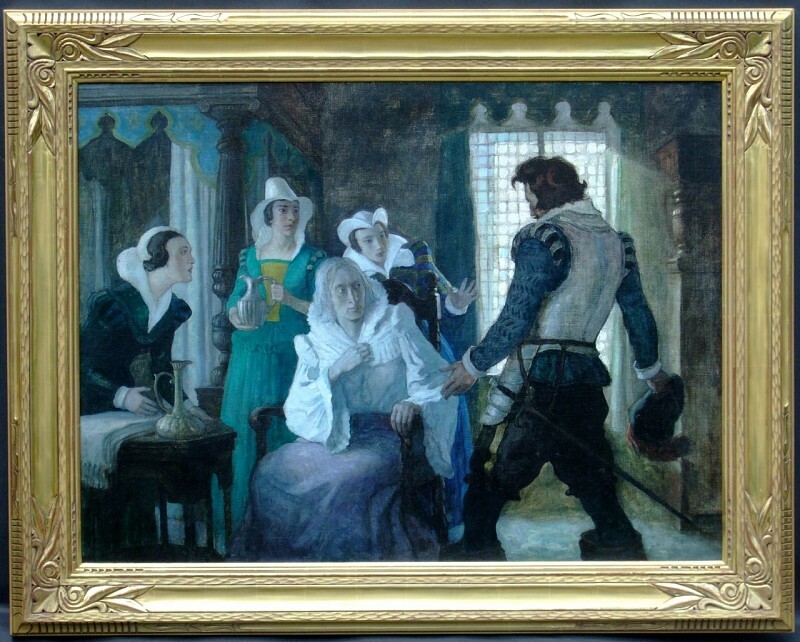 His daughters, Henriette and Caroline, were both accomplished painters; Ann, a composer; and his son, Andrew, is famous as a painter. His grandson, Jamie, is also an excellent painter. 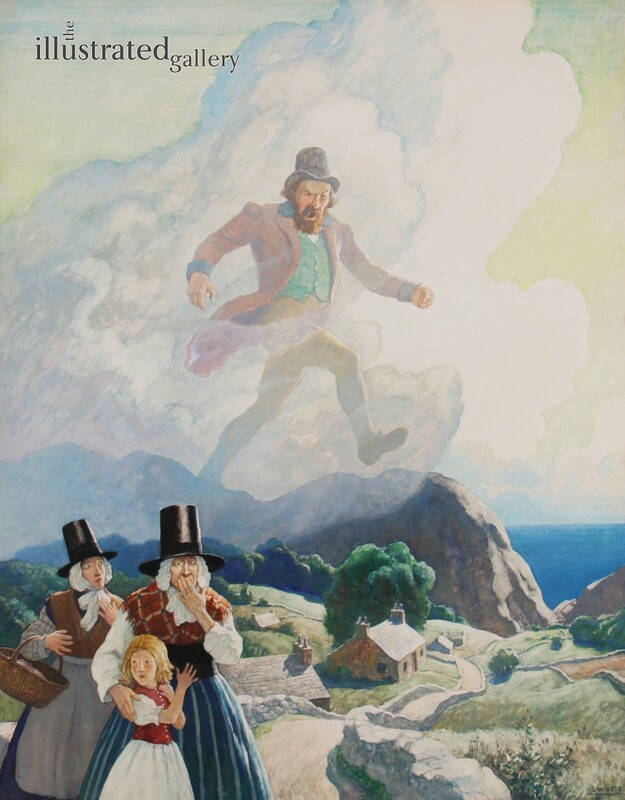 At the time of his tragic death in a railway crossing accident, N.C Wyeth was one of America's best loved illustrators. 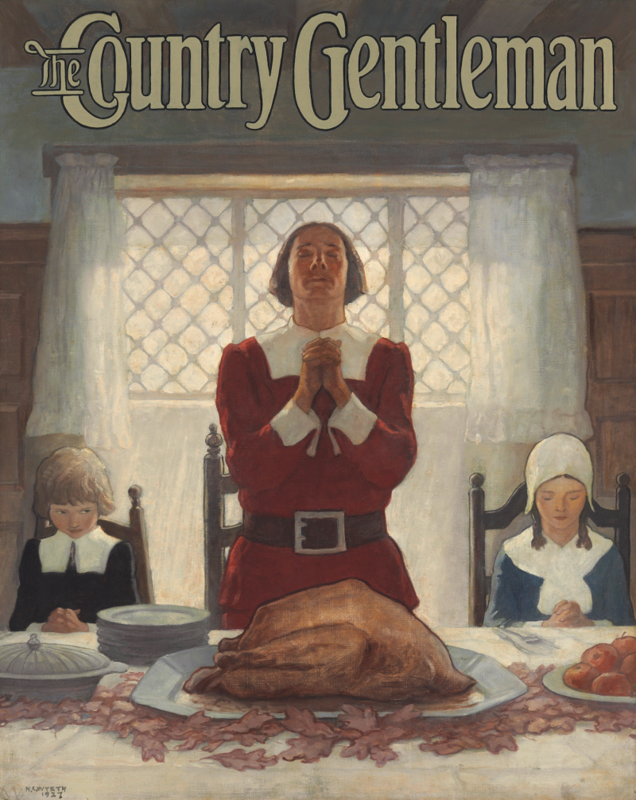 The October, 1965, issue of American Heritage contains an article by Henry C. Pitz about the career of Wyeth and his family, and a biography by David Michaelis was published in 1998.